Bazley joined Meanstreets late, but made an immediate impact. In two Nike EYBL Sessions, Bazley averaged 15.4 points, 9.4 rebounds, and 1.5 blocks per game. The former Ohio State commit was so good, he was reeling in offers during the non-evaluation periods. Bazley is 6-foot-9, 200 pounds with a sweet shooting stroke. 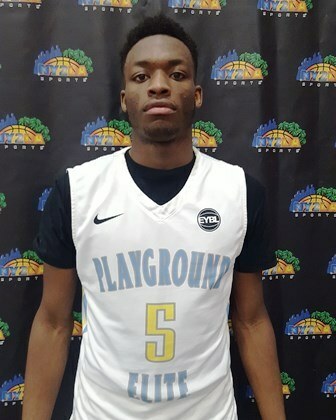 A big mismatch problem with his ability to put the ball on the deck and a unique ability to hang and finish around the rim for his size, Bazley shot 46.2 percent from the field in EYBL, scoring 16 or more points in six of eight games. Bazley now possesses offers from Syracuse, Louisville, Maryland, Purdue, Xavier, Florida, and Georgetown to name a few. Bennett has one of the best mid-range games in the Midwest. He knows where his spots on the floor are and is able to create space off the bounce and catch the defense off guard by pulling up on a dime. Bennett also has terrific lift on his shot and even if he’s contested well, will out-hang the defender to get a clear look. Bennett doesn’t take plays off either. Even if the other team has just scored, Bennett sprints up the floor and tries to catch the defense napping. A 6-foot-3 guard with a knack for scoring and a lot of defensive upside with his length, mid-majors should be all over Bennett in July. I don’t want to just come out and say, ‘I told you so.’ But I told you so. In his first taste of the EYBL, not only did Curtis hold his own against the nation’s top players, he exceeded expectations. 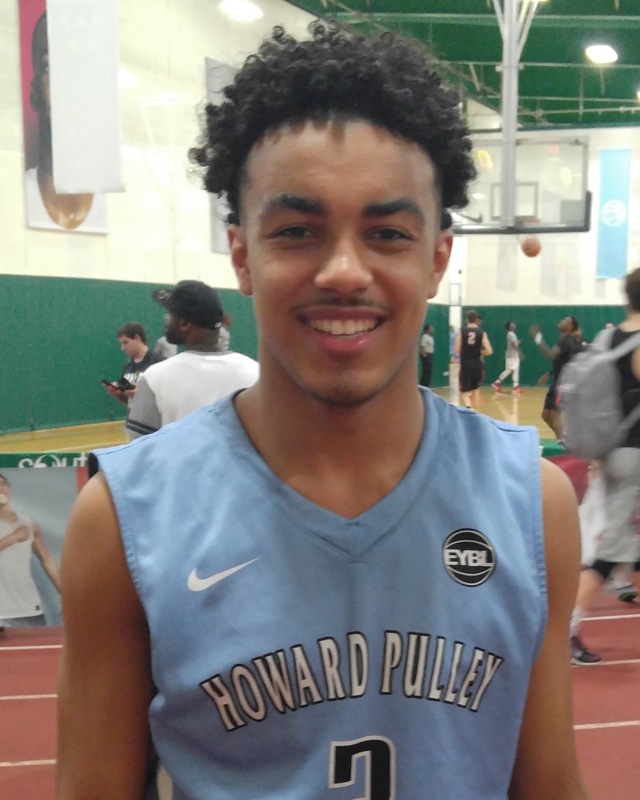 A physical, driving guard, Curtis shot 53.8 percent from the field on the Nike circuit, averaging a team-high 16.3 points per game for Playground Elite. A player that lives in the paint and will challenge opposing defenders for every minute he’s on the floor, Curtis got to the free throw line 90 times in 16 games. The knock on Curtis has been his jumper, which continues to improve, and his scoring mentality from the point guard spot – although he did post 2.5 assists per outing to go along with 5.2 rebounds. His game is a little unorthodox for a point guard, but when it comes down to it, Curtis is too good for so many schools to keep passing on him. 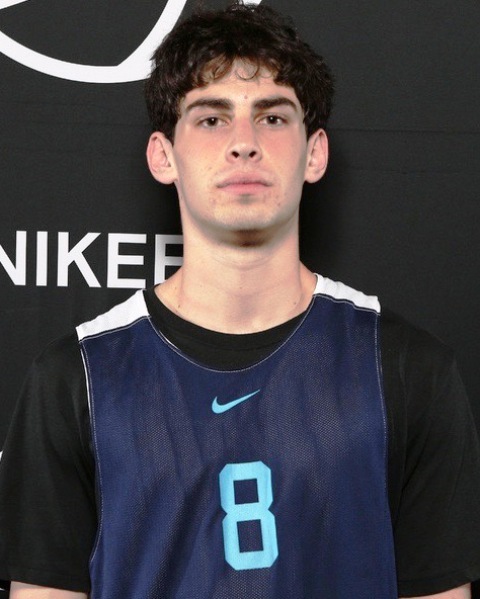 Bol and Shareef O’Neal get the headlines, but Spencer Freedman is the straw that stirs the drink for Cal Supreme. An elite decision maker, Freedman has high major offers from USC and Washington. Put Freedman in the pick n’ roll and he’ll do the rest. The lefty is smooth off the bounce and a quick first step allows him to get to the rim. He uses excellent touch on his passes, particularly on his alley-oops where he allows his long, athletic forwards to go up and make plays near the rim. Freedman has a quick, effortless stroke from 3-point range and can be deadly from well beyond the arc. A poised floor general who’s never in a rush even with against some of the best athletes in the country, Freedman’s ability to simplify the game and compliment the players around him makes him very underrated nationally. Come July, there’s always a handful of players that when you check Twitter, seem like they’re adding a new offer. Horton-Tucker falls into that category this year. This spring, Horton-Tucker’s confidence hit an all-time high. The 6-foot-6, 205-pound wing has plus length and deceptive explosiveness. He can beat defenders with sweeping drives to the rim and when he’s in traffic, he’ll rise up and embarrass people. Horton-Tucker has greatly improved as an outside shooter. Not only is he comfortable in the catch-and-shoot game, but he’ll knock down difficult, contested looks off the dribble. Illinois, Missouri, Northwestern, Iowa State, Texas A&M, DePaul, Arizona State, and others are currently pursuing. Expect the high major offers to flood in during the month of July. I don’t have much of a problem saying Jallow is the top 17U prospect in the NY2LA Association. Looking across the board, Jallow is top 15 in the league in just about every major defensive statistical category. A do-it-all prospect with offensive and defensive versatility, Jallow is posting 15.8 points, 6.7 rebounds, and 3.0 rebounds per game. He’s also fifth in floor impact. Offensively, Jallow is the type of player you can clear out for on the wing or high post and let him go to work. Jallow is a comfortable three-level scorer with a perimeter and back-to-the-basket game. The 6-foot-5, 200-pound junior makes tough shots look easy, getting big elevation on his shots. Ohio State, Indiana, Butler, Vanderbilt, Stanford, Purdue, Virginia, Northwestern, Virginia Tech, and more are currently in the hunt for Jallow. All of a sudden, we’re talking about Jones as perhaps the top point guard in the country. If you have to win one game, I’m not sure you can pick anybody else. Jones elevates the players around him like nobody else in the nation. Jones averaged 19.3 points on 56.5 percent shooting, 8.3 assists, and 5.4 rebounds per game – consistently flirting with a triple-double. Jones had an unreal near 8:1 assist-to-turnover ratio while leading Howard Pulley to a 13-3 record. Just how good is Jones? He’s averaging just shy of 20 points per game and scoring isn’t even one of the best 2-3 things he does. Without a reliable 3-point shot, Jones has handles and a hesitation dribble that devastates defenders, allowing him to live at the rim. A player that has an unreal feel for his teammates, Jones is the definition of a pure floor general and it’s why in high school and AAU, all he does is win, often without the most talent around him. Pinson has that clutch gene and emerged on the radar of Division 1 programs this spring. One of the top 17U prospects in the NY2LA Association, Pinson’s speed and elusiveness allows him to create so much offense. The flashy, electric lead guard broke defenders down with ease, using a deadly crossover or hesitation dribble to leave defenders in the dust. When extra help inevitably comes his way, Pinson is always one step ahead, immediately making the right pass. Pinson’s vision, facilitating, and offensive creativity continues to attract more suitors. Chicago State and Western Illinois were the first to offer this spring. More are coming. Seal was second in the NY2LA Association in floor impact. He averaged 17.4 points and 8.0 rebounds per game. At 6-foot-4, Seal flashed some big time shooting ability off the dribble. When he’s consistent, Seal is very difficult to get out of a rhythm. A strong transition presence, Seal is always running the floor and isn’t afraid to challenge multiple defenders at the rim. His length and creativity in the open floor separated Seal from a lot of wings in the association this spring. A worker off the ball, Seal led the league in offensive rebounds (3.0) per game.